Michael Doheny |Assistant Librarian, AIT. Please note: these links are for information purposes only. 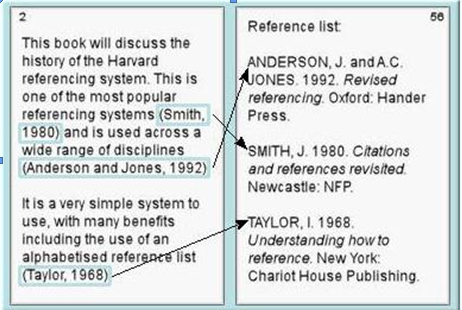 These Harvard reference systems are sightly different to AITs; If in doubt use the AIT formats under the references formats tab on this site. Monash University Library. 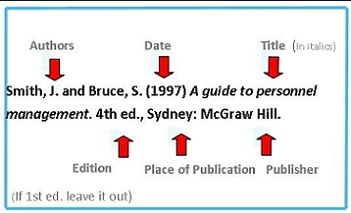 (2007) Citing and referencing: how to acknowledge your sources. [Online]. 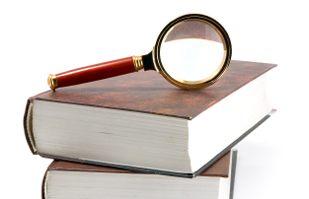 Referencing or citin g your sources is an important part of academic writing. It lets you acknowledge the ideas or words of others if you use them in your work and helps avoid plagiarism. Referencing also demonstrates that you've read relevant background literature and you can provide authority for statements you make in your assignments. The Harvard citation style can vary in minor features such as punctuation, capitalisation, abbreviations, and the use of italics. Always check with your lecturer/tutor for which citation style they prefer you to use. Please remember the Golden Rule is to follow the format provided by your lecturer if it differs to the format provided here. This guide is only intended as a suggested alternative. Although most AIT Academic Schools are happy to follow this format please check with whoever is marking your assignment/essay/project before using this guide. 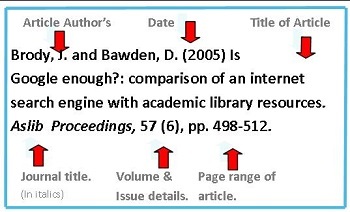 When you quote directly from an author or citing a specific idea or piece of information from a specific page or pages then you need to include the page number of the quote in your in-text citation. 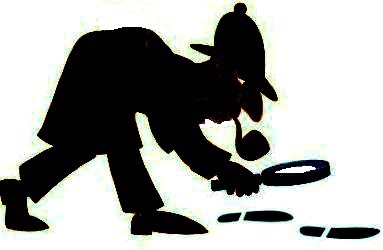 Reference list/Bibliography entries contain all the information that someone needs to follow up your source. Reference lists/Bibliographies in Harvard are arranged alphabetically by author.